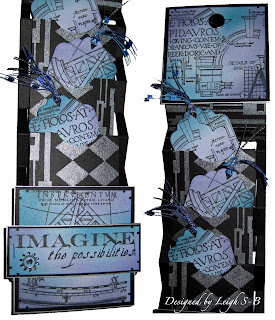 Velvet Paw Creations: Only 2 days left for my Kinetic Challenge for Blockheads Paper Arts! Only 2 days left for my Kinetic Challenge for Blockheads Paper Arts! I'm hosting the first of our new Design Team Challenges for Blockheads Paper Arts! The deadline to submit your entries to the Blockheads Facebook page is only 2 days away! So if you're a Blockheads fan and would love to enter then here's all the info! I challenge you to create one of my 'kinetic' projects and submit your creation on the Blockheads Facebook page to win a $25 Blockheads gift certificate plus more incentives (see below)! What's a 'kinetic' project you ask? Basically it means a work of art that depends on moving parts for its effect and I've designed two projects that fit the bill. 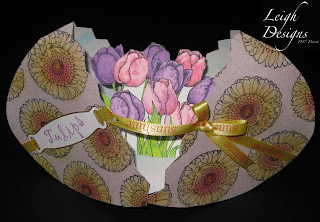 Check out my 3D Pop-Up Easter Egg card and my Ladder Folio tutorials. Click on the photos to view the tutorials! To enter my Kinetic Challenge all you need to do is decide which project you'd like to try your hand at and get creating! Feel free to alter my templates slightly if you need to change something to suite your creation. The themes of your projects are also up to you, i.e they don't have to be the same themes I used! The winner will be announced in the next Blockheads Newsletter. For your Challenge entry to be considered you must either use only the Blockheads line of rubber stamps and/or images from the other stamp companies Blockheads sells! Please ONLY use the images that Blockheads carries so double check Blockhead Paper Arts' website! Please include the details of the stamps you use with your entries! As an extra incentive to use only the Blockheads line of stamps you will also receive 1 point per card submitted to a maximum of 5 points towards earning Blockheads Rewards! Those of you who have ordered from Blockheads Paper Arts this year, have probably noticed you can earn points, through purchases, toward a $20 gift certificate. Enter the Challenge and give your points total a boost to earn your $20 gift certificate even faster! The winning entry will be posted on the Blockheads blog, on my blog and Karen's blog (my fellow Design Teamster) for everyone to enjoy too! So who is up for my Kinetic Challenge? Good luck & happy stamping!